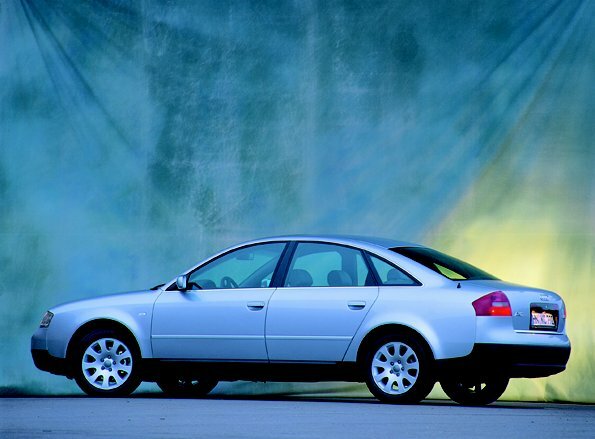 The new A6 was one of the true masterpieces introduced. It was designed simultaneously with the TT. The ellipsoid shape will polarise opinion - I kinda like it! The rear headlights were taken from the TT. The whole car is based on a stretched A4 running gear. 1.8 litre 4-cylinder turbochared, two V6 engines and a 1.9 litre TDi. There are rumours about a twin-turbo V6 as well. All models with spark-ignition engines will be available immediately in either front-wheel drive or quattro form. A 5-speed Tiptronic transmission can be ordered for the A6 1.8T and for the two 6-cylinder version. 4-speed automatic is an option for the turbodiesel. There are three interior leveles: Advance, Amibtion and Ambiente. These are suited to different types of customers. Audi took a different approach than BMW: the emphasis is on refinement, comfort and flexibility rather than a sporting personality. Boxster fever broke out and rampaged: Boxster with surf, with hard-top, with chicks, without chicks :-). For race-car lovers the look at the outrageous 911 GT1 was fascinating. Volkswagen is trying to get after Ford's Ka mini car with a bunch of new models. 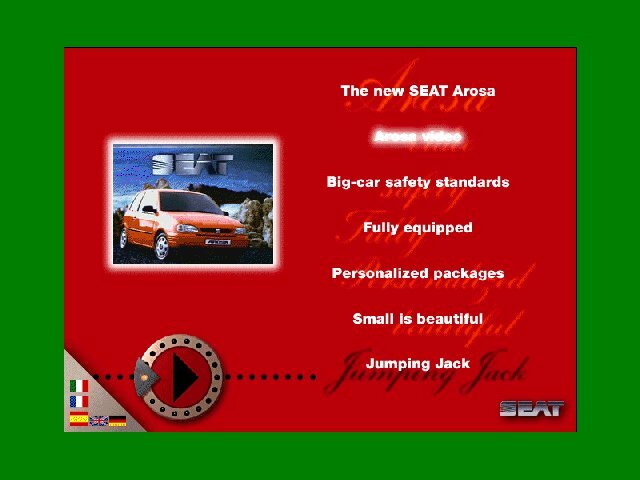 The first is the Seat Arosa. The 3.5 metres long car with 1.0 liter or 1.4 liter engine and competitive equipment will be a modern version of the '80s Marbella. Skoda highlighted on the new Octavia, but it'd be seen on the streets not just in the exhibition hall - so it wasn't so exciting. The tables have turned: Volkswagen took over a model from Skoda! The new Caddy pick-up is a retouched Skoda Felicia Fun pick-up! 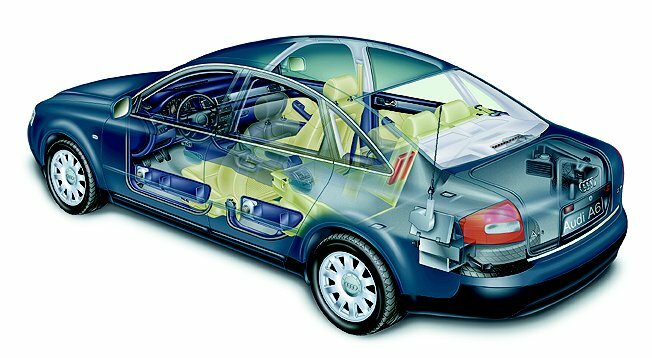 AC Schnitzer, Alfa Romeo, Alpina, Audax, Audi, Berard, Bertone, BMW, Brabus, Caterham, Chrysler, Citroën, Daewoo, Daihatsu, DeTomaso, DigitPower, Ferrari, Fiat, Ford, General Motors USA Gigliato, Heuliez, Honda, Hyundai, Irmscher, ItalDesign, IVM Engineering, Jaguar, Jimenez Novia Karmann, Kia, Lamborghini, Lancia, Lorinser, Maserati, Mazda, Mercedes, Michalak, Mitsubishi, Nissan, Opel, Peugeot, Pininfarina, Porsche, Proton, Puch, Renault, Rinspeed, Rolls-Royce/Bentley, Rover/Land Rover/MG/Mini, Saab, Sbarro, Seat, Skoda, Spectre, SsangYong, Strosek, Subaru, Suzuki, Toyota, Valmet, Venturi, Volkswagen, Volvo, BEGINNING OF REPORT.